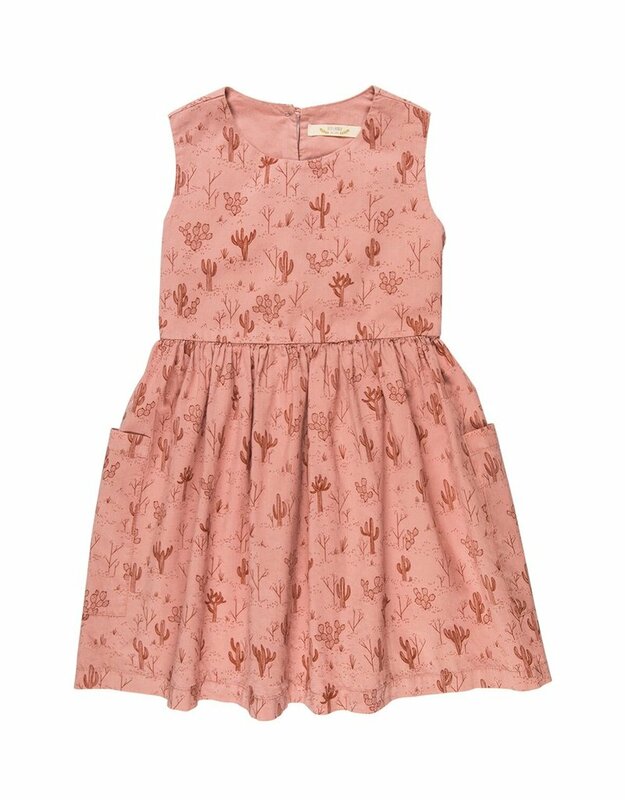 Woven sleeveless dress in rose with darker red cactus print. Gathered waist with elastic in back. Large pockets on sides. Single button back closure. 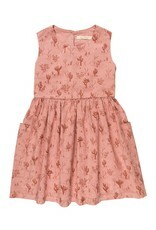 100% pima cotton.